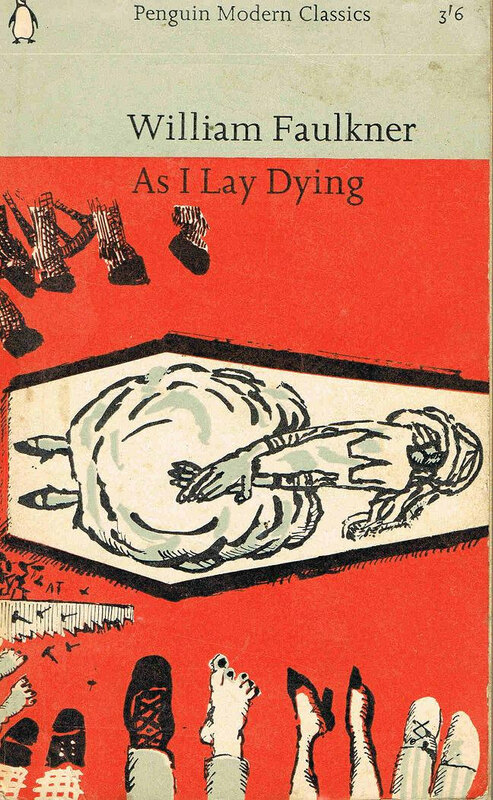 Officially speaking, William Faulkner’s As I Lay Dying tells the story of Bundren family traveling to bury their mother, Addie. Quickly in the narrative she dies. Children and husband must fulfill last request to take Mom’s body on a 40-mile trek in a wagon to be buried in Jefferson, Mississippi. Written in 1930, it dances the line between modern and post-modern literature. Different characters’ voices take over each chapter, and as the book progresses, the reader is given a complex, dark, and intimate narrative. Unofficially, I believe it is a book written about a mother who simply wanted her family to take a vacation together, even if it involved hauling her corpse around. And Mr. Faulkner just wanted everyone to talk (and sometimes yell) all at once. Like you do on family vacations. Don’t let the gorgeous Instagram photos fool you. This is the season for family vacations and in real life they are always #nofilter. While it might seem like a strange parallel, I think William Faulkner had a fantastic understanding of the theological implications of a family vacation. Like Addie Bundren being hoisted about in her coffin, parents love the idea of a family getaway. And yet, when the whole brood heads to the Grand Canyon, the messiness of life becomes oddly compact. You plan a big, freedom-promising journey and end up all together in a hotel room/car/tent. And there you are. All together in a small space, annoying habits exposed. I had the good fortune of going on some pretty serious family vacations as a kiddo. No, I am not going to tell you we went to Europe. Or regale you with stories about all those times at our lake cabin. Almost every year we loaded up in an old suburban and drove from Mississippi to New Mexico. I had one backseat and my little brother claimed the other. For the first few days my mom would remind us that it wasn’t going to be the end of It’s a Wonderful Life that we had all imagined. It was going to be that middle part where Jimmy Stewart was mean to everyone. And we were all going to be Jimmy Stewart. My dad would tell us repeatedly to be quiet as we drove through Dallas traffic, my mom would read entirely too much cowboy poetry aloud, and my kid brother (7 years younger) was unbelievably annoying with his backseat Ninja Turtle Civil War. I generally remember being moody, disagreeable, and really concerned about what I was going to wear. And yet, something happened by that third or fourth day. The longer we spent time together, the more the defenses came down. No one became less themselves; we all just gave up on expecting better from each other. We remembered that, despite our best efforts, we belonged to each other. And that we really, really loved each other. In a word, it took a few days to offer each other grace. There was a great article in the Onion a few weeks ago entitled Mom Spends Beach Vacation Assuming All Household Duties In Closer Proximity To Ocean. Isn’t it nice to just get away for a while and relax by the water?” Yardley said as she wiped down the kitchen counter and then took out the garbage, tasks she would normally perform at a distance of 200 miles from the beach instead of 50 feet. “I just love that I can be scrubbing the bathroom, look out the window, and see the tide coming in. We should do this every year!” At press time, Yardley was reportedly busy preparing a meal identical to what she would have made back home, except that she planned to serve it on paper plates. The thing that struck me most about this very true-to-life Onion article is that no matter how much we expect out of vacations (or any other sort of escapism for that matter), we are still very much the same people we are at home. We may transport ourselves to some beachy locale, but we will still carry our neuroses right along with us. Family getaways offer this rare opportunity to accept that fact; not only about ourselves, but about those people we love most in this world. One thing often said about Faulkner’s As I Lay Dying is that there were no villains and no heroes. That claim, in a nutshell, is a family vacation. We pile into a vehicle, take our turns acting like jackwagons, and hopefully, learn to accept one another all over again.